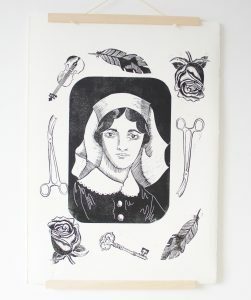 I have recently completed a commission for the National Trust, as part of Women in Print at Dunham Massey. Alongside four other female artists, I was asked to create a portrait of one of the ‘hidden women’ of the house. 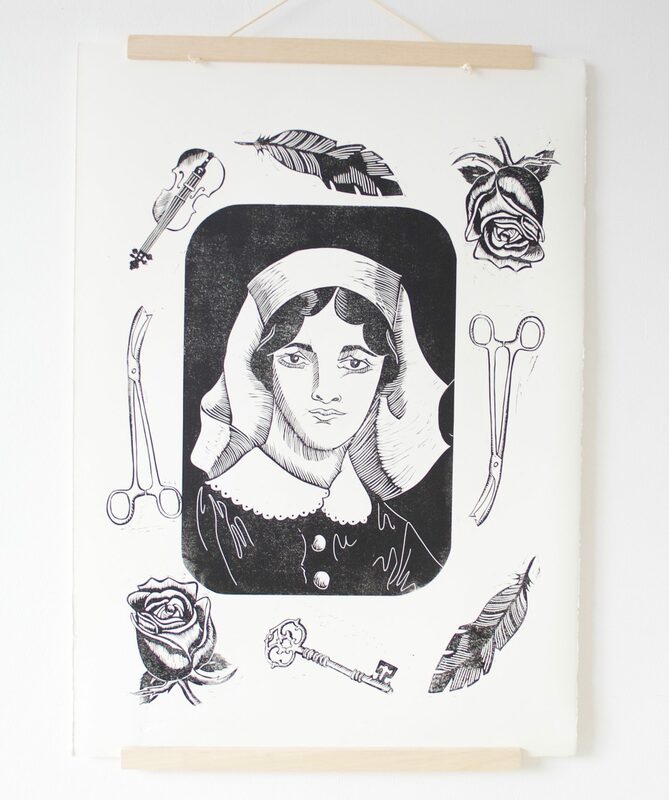 I chose to create a lino print of Sister Catherine Bennet, a nurse who helped to run the house when it was turned into a hospital in the First World War. I made a neo-traditional linocut of Sister Bennet surrounded by symbols of her life referenced in letters she wrote during this time.